Steve Gadd, b. Rochester, New York, April 9, 1945. Uncle, a drummer in the army, encouraged him. Drum lessons from age seven; sat in with Dizzy Gillespie at 11. Studied music at Eastman College, Rochester, playing in wind ensemble and concert band, and at nights in a club with Chick Corea, Chuck Mangione, Joe Romano and Frank Pullara. After college, drafted into army and spent three years in a military band. After the army, gigged and worked with a big band in Rochester. 1972, formed a trio with Tony Levin and Mike Holmes, going to New York with it. 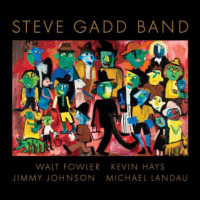 The trio fizzled out, but Gadd began to work extensively as a studio musician. He also played with Corea's first Return to Forever. 1970's and 1980's, toured internationally, recorded with Paul Simon and with Al Di Meola's Electric Rendezvous Band. 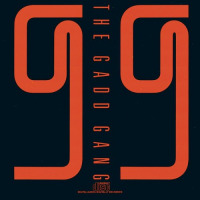 By the end of the 1970's Gadd was the most in-demand and probably the most imitated drummer in the world.
. His feel, technique, and musicality on such tunes as Paul Simon's Fifty Ways, Steely Dan's Aja, and Chick Corea's Nite Sprite were so awe-inspiring and his concepts so innovative that they instantly assured his special position in the history of the percussive arts. 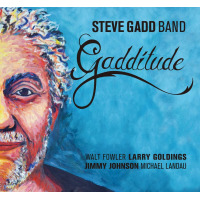 Steve Gadd's name was for many years synonymous with the Recording Custom kit. Indeed the association led in no small part to the RC9000 becoming the most popular professional kit in the world during the 1980s. Steve popularize small 10 toms and introduced floor tom-tom stands. He still likes birch tom-toms, but recently has preferred a maple bass drum. His Clapton kit comprises 22x14 Maple Custom Absolute bass, 12x8 and 13x9 hanging, and 14x12 and 16x14 floor-mounted Birch Custom Absolute toms. Other times he uses a small 10x7.5 tom, which he made famous in his studio days, and drops the 13 tom. For live work he prefers his steel 14x5.5 signature snare drum. 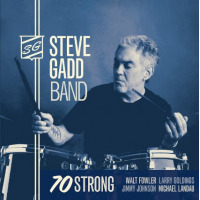 There are five other Steve Gadd signature models in the series. 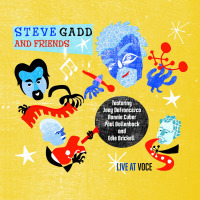 Steve Gadd & Friends Releases New CD "Live at Voce"
All About Jazz musician pages are maintained by musicians, publicists and trusted members like you. Interested? 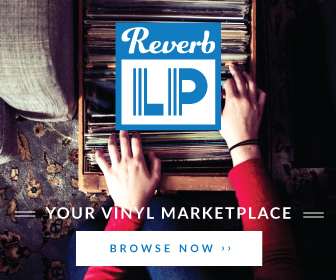 Tell us why you would like to improve the Steve Gadd musician page.